Gell and Goombs described four types of hypersensitivity reactions. Understanding each type of hypersensitivity is essential for proper management. 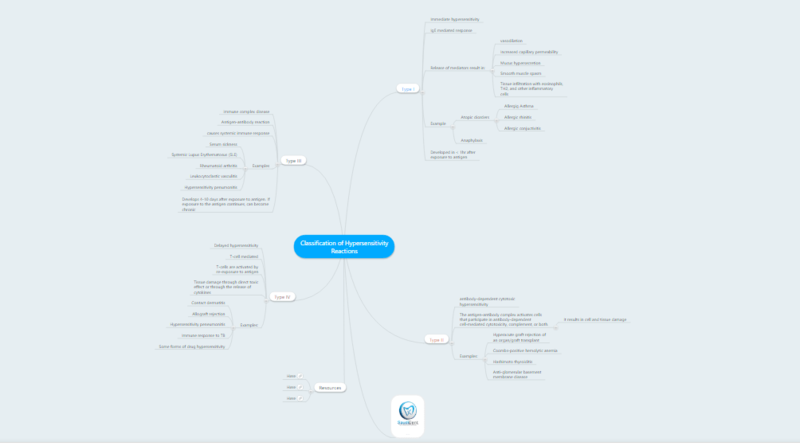 Our current mindmap highlights the four types and how they develop.